Bet first to bet – Click here! This year, the event will be held in Odense, Denmark. The ESL and Intel team up for the ESL Pro League Season 8 Finals, the top 12 teams of the year will participate in this great event where nothing less than $750,000 USD will be played. The prize pool will be divided into all participants depending on their ranking at the end of the event, and I'm pretty sure all teams will do their best to get a big piece of the cake. In eSports Betting you will find all the details about this tournament, and of course, everything related to betting on CS:GO. As part of the Intel Grand Slam series, the ESL Pro League Season 8 will be the biggest CS:GO tournament of the year, there will be more tournaments, of course, but with such a high prize pool it's hard to beat. Without further ado, let's skip to the detailed information of this great Counter Strike Global Offensive event. The teams that win their respective groups will advance to the semifinals, while the next two teams will be in the quarterfinals. The initial matches are to the best of 1, the rest will be to the best of 3. The format of the ESL Pro League Season 8 Final will be double elimination (GSL), where the 8 teams from each group will have to fight to advance to the grand finale. Teams who lose a match will have a second chance at the bottom of the loser bracket, but if they lose again, they will be eliminated from the tournament. The first matches will be to the best of 1, while the rest will be to the best of 3. The teams that win their respective groups will go on to the semifinals, while the next two teams will be in the quarterfinals. 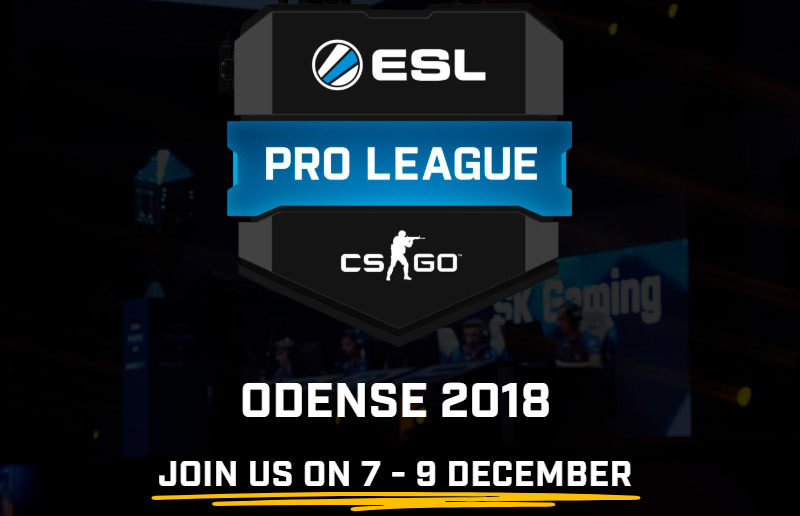 Many of these teams are well known in the CS:GO competitive scene, no wonder CS:GO odds are already available for the ESL Pro League Season 8 Odense 2018, the eSports bookmakers are once again looking to offer us the opportunity to bet on our favorite teams, or the one we believe will win this year's event, so don't miss out on your chance to bet on this tournament, not only will the players get part of the prize, you can do it with the bookmakers too! When we talk about the odds on this tournament will be relatively the same among all the bookmakers, the big difference between one or the other is the amount of markets that offer, since there is an incredible variety of bets, from the winner of the match, the final winner of the event or even handicap. And if you don't know some of these terms, here you can read our guide in our eSports betting academy. 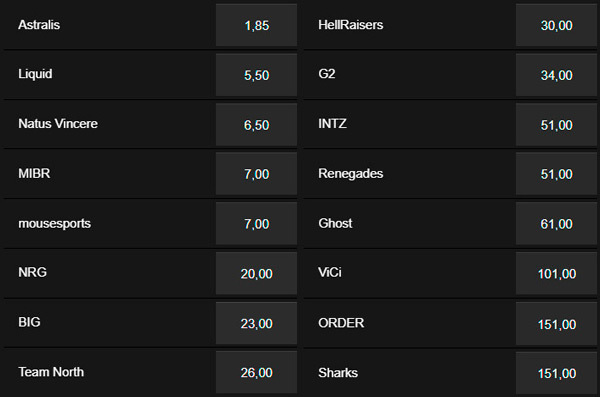 Below you can find some of the betting odds you can find for this tournament. mousesports: chrisJ, oskar, ropz, suNny, STYKO, lmbt. As in previous years, the prize pool is still the same $750,000. Just because it's the same amount doesn't mean it's a tiny amount, as all teams will want to take a piece of the big cake. So, we may be surprised by the match results this year, probably, we're going watch some upsets. Since the ESL and Intel decided to change the method of live transmission of tournaments, previously was through Twitch, and since the new change and partnership with Facebook will be through that platform. Don't worry, you'll be able to watch the tournament through our website so you won't miss a single moment of action in this great CS:GO tournament.